Ideas have consequences, and so do national policies. Ten years after our invasion of Iraq, many Americans remain largely unaware of the negative consequences of the interventionist foreign policy shared by our current President and his predecessor. 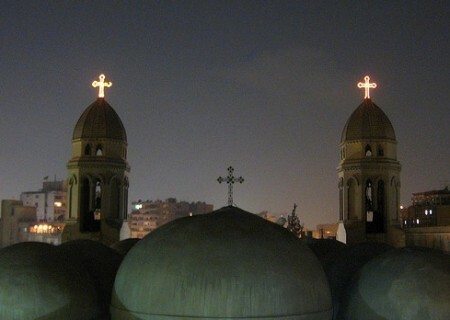 Not least among these consequences is the increased persecution of Christians in Arab nations. [O]n March 19, 2003, Operation Iraqi Freedom commenced. Shortly after combat operations concluded on May 1, the real conflict began. Amid the chaos and sectarian violence that followed, Iraq’s Christians suffered severe persecution. Neither the military nor the State Department took action to protect them. In October 2003, human rights expert Nina Shea noted that religious freedom and a pluralistic Iraq were not high priorities for the administration, concluding that its “diffidence on religious freedom suggests Washington’s relative indifference to this basic human right.” Shea added, “Washington’s refusal to insist on guarantees of religious freedom threatens to undermine its already difficult task of securing a fully democratic government in Iraq”—more prescience that would be likewise disregarded. The article goes on to show how the democratic governments we installed in the Middle East have been, for the most part, worse than the regimes they replaced. And how our country—during Republican as well as Democratic administrations—has refused to acknowledge the plight of Arab Christians as religious persecution, even as we continue to pursue a course of action in Syria that is resulting in the same consequences there. For the record, I don’t believe that there has been malicious intent toward Middle Eastern Christians from either President Bush or President Obama, nor from the many American citizens who also support an interventionist foreign policy. Rather, I believe that the persecution being faced by our brothers and sisters in places like Iraq and Egypt is truly an unintended consequence. But there’s a difference between unintended and unforeseen. There were those who predicted such consequences prior to the start of Operation Iraqi Freedom, and have been consistently warning us about where such policies will lead us. The question is, will we ever learn? First of all, if you’ve never read the book (or haven’t read it in a while), you really need to. Amazon Prime members can buy it used & shipped for under $4 (Prime members can also watch the very faithful movie adaptation for free here, though I still recommend reading the book first). Like the Senator, I didn’t love it the first time I read it (which was, I think, in 7th grade), but I’ve read it twice since then and will certainly read it again someday. 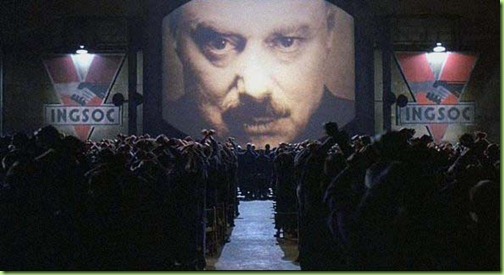 One doesn’t have to be a conspiracy theorist or accept Orwell’s views on all things to see that there are a great many parallels between 1984 and recent American political history (for the record, I would say the same thing about Ayn Rand’s Atlas Shrugged, though I also have serious reservations about that particular book). Our liberties are being eroded by Statism faster than ever, and most don’t appear to notice or care. I’m thankful that we still have some politicians who possess both the willingness to stand up for our liberties and the knowledge of parliamentary procedure necessary to oppose liberty-infringing amendments such as the one described in this video (for another example, see this recent successful filibuster by Senator Paul). I look forward to hearing much more from Rand Paul as the debate over the powers of the government continues. If you’d like to know more about some of the issues mentioned in the above video, check out the Senator’s latest book, Government Bullies. Making the Case for Mitt? As debates go, last night was a bloodbath. Mitt Romney somehow (maybe it was the chipotle?) transformed himself into a master of disputation. He looked confident, spoke well, maintained eye contact, and kept the incumbent on his heels all night. That said, did he persuade me last night that he’d make a great leader for our country? No. But today I want to do something that may surprise you… and it’s sort of surprising me, too. But because I really do believe what I said in my last post, I have to be willing to question my convictions and make sure that something as important as my vote can be done with integrity. So I’m looking at reasons why an enthusiastic Ron Paul supporter might want to vote for a man whom Paul himself refuses to endorse. Phillips’ analysis of reasons why many Christians choose to vote third-party is pretty accurate. The promise of immediate “fixes” to the ailments of government is alluring but impractical. What he calls “incrementalism” is indeed what is needed. Those who think a third-party candidate could instantly reverse decades of decay are kidding themselves. That said, guys like Gary Johnson and Ron Paul are talking about making incremental rather than drastic changes. More on this later. Also in this opening section is a link to a clip from a John MacArthur sermon that shouldn’t be missed. He’s a pastor who never talks about politics, but his comparison of the 2012 Democratic Party platform to the “unrighteousness” described in Romans 1:18-32 is incisive and damning. Whatever options are before us as Christian conservatives this Fall, Obama cannot be one of them! The “Lesser of Two Evils” Argument — In one sense, this is absolutely correct. All political candidates are fallen and fallible, and that must be taken into consideration. At the same time, is there a difference between saying “the lesser of two evils” and “the lesser of two sinners“? I think so. As someone who has used that phrase before, perhaps I should clarify. I’m a firm believer in the power of the free market, and do consider economics to be a serious ethical issue. So when I say “the lesser of two evils“, what I really mean is “the lesser of two big-government Keynesians“, but that doesn’t quite have the same ring. Politics Is the Art of the Possible — Phillips is right that in this Fall’s election, there are only two teams on the field. No third-party candidate has a snowball’s chance in hell of becoming president. And I’m willing to concede that the consequences of one side’s victory are more catastrophic than the other’s. The real problem is that I’m tired of playing this game! However, the point is well taken that this is a Republic, and the likelihood of a viable third party is not in our near future… which is why I applaud the efforts of the “Tea Party” and those such as Ron and Rand Paul who have focused their efforts on bringing reform to the GOP rather than trying to go it alone. Third-Party Candidates Will Accomplish Nothing — First off, since when does winning an election mean campaign promises are going to be kept? Obviously the President can’t do things on his own, which is why the executive must be willing to work with his legislature (something Romney does have in his favor) to accomplish anything. But it’s unfair to say that third-party candidates can’t do this. Gary Johnson has a great track record of getting things done in a bipartisan manner while Governor of New Mexico, and Ron Paul has shown that it is very possible to work with people on both sides of the Congressional aisle. All Third-Party Candidates Are Immature, Fools, or Liars — This is true if we accept the presupposition that the only purpose in running for office is to win. But it’s often in a “losing” effort that the seeds are planted for future victories (see the Republican Party of the 1850’s, for example). I can’t speak for others, but I think most third-party voters understand that their candidate has no chance of winning. Those who believe strongly enough in a message are willing to invest in its propagation even when they know most won’t receive it… yet. I Want to Make a Difference, not a Gesture — When I’m being totally honest with myself, this is what gives me the most pause. What is my motive for wanting to vote third-party? Is it because I genuinely believe I can make a difference, or is it really all about me? Ultimately, though, this comes down to strategy. Assuming I believe that making a difference and making a gesture are not mutually exclusive, what is the best way for me to make a difference? I have one vote, and one voice. Am I best serving the “cause” by voting a particular short-term outcome, or by consistently advocating for better policies? Can I have it both ways? These are tough questions. Abortion and Supreme Court Justices — I share Phillips’ concern here. Typically I think the “this is the most important election EVER” rhetoric (which we hear every four years) is totally bunk, but with three SCOTUS members entering their 80’s in the next four years (and another in his late 70’s), this really is a potentially momentous election, as the makeup of our nation’s top court could radically change very quickly, and for a long time. There’s no guarantee Romney would make great appointments (John Roberts, anyone? ), but we already know Obama won’t. So what about not voting? Is Phillips guilty of a little fear-mongering here? Maybe, but he’s right. Staying on the sidelines is the worst decision you could make (unless you like Obama, in which case not voting is perfectly acceptable). Get involved! But I’m voting my conscience! While I agree that Christians often over-use the “conscience card”, and that the conscience can be wrong (1 Tim. 4:2, etc. ), I also contend that there is a proper use of the conscience. I believe that people can act with wisdom and obedience to God’s Word, arriving at different conclusions with a clear conscience, without sinning. That said, as of this moment there is not a single name on the presidential ballot for which I could vote with a totally clear conscience… which is why I’m still in the process of informing my conscience. There are many reasons I don’t like Mitt Romney, but this isn’t one of them. Sure, he hasn’t had the most consistent past in this area, but that doesn’t mean his conversion to the pro-life cause isn’t genuine. And I actually agree with Romney that putting abortion laws back in the hands of the states is the best strategy to fight abortion. This is the stupidest reason not to vote for Romney. Phillips is exactly right about seeing Romney’s Mormonism as an opportunity for evangelical Christians to explain the true gospel in contrast to Romney’s views. None of the third-party candidates are particularly appealing. Politically I have most in common with Libertarian Party candidate Gary Johnson, but his stance on abortion rules him out in my book — it’s one of the reasons I liked Dr. Paul so much. Pro-life libertarians are a rare breed, but he has been 100% consistent in saying that being pro-life is essential to liberty for his entire political career. The only other third-party candidate that even remotely comes close to matching my political convictions is Virgil Goode of the Constitution Party… a singularly unexciting man who has many policy issues I don’t share. I still haven’t forgiven the RNC for their blatant disregard for grassroots voters and party rules. The GOP will continue to employ those type of shenanigans as long as it feels enough disgusted conservatives will vote for them anyway. There are still some things that Mitt Romney could do that would win me fully over into his camp. If he gave assurances that the libertarian-leaning wing of the GOP would have some input in his administration (how about Ron Paul for Treasury Secretary and Andrew Napolitano for Attorney General?) voting for him would be a lot easier. What it finally comes down to for me is this: Is this election really the most critical election of my lifetime? I’m not convinced that it is. For the GOP to change into a truly conservative party, it will have to lose another election to see that guys like Romney, McCain, George Bush (take your pick) and Bob Dole aren’t going to cut it. A Romney win in 2012 puts a “real” change off by at least 8 years… years which will see our national debt continue to skyrocket beyond its already unsustainable levels. Can we afford that? On the other hand, change can come much quicker in the Legislature than in the Oval Office. As liberty-minded citizens continue to get more and more active in local, state, and Congressional races, the people can begin to wrest power back from the federal government. Perhaps Rand Paul is the future of the Ron Paul Revolution… endorsing an awful Republican candidate in the hopes of having greater influence on the party down the road. At the very least, Romney would be less hostile to liberty than the alternative, if only marginally so. If Ron Paul had decided to run as an Independent, he’d have my vote in a heartbeat, and my conscience would be totally clear regardless of who won the election. As it stands, though, I can’t quite rule Romney out, much as it sickens me to say so. But if I do vote for him, don’t expect me to be happy about it. He may get my vote after all (still doubtful), but he won’t get my endorsement. Blech… I need a shower. I find myself almost hoping that the teleprompter video is a fake, because if it isn’t then the corruption in the GOP is even worse than I thought. Whatever happens in November, this kind of thing needs to be stopped. Unbelievable… no, wait… sadly, it’s perfectly believable. A terrible erosion of liberty happened in our country today, but a lot of people weren’t paying attention. A few days ago, Drew McKissick broke the story about an impending RNC rule change, and Michelle Malkin has been frequently updating the story over the last two days. You should also check out this letter from GOP delegate Morton Blackwell, who is a member of the RNC’s Standing Committee on Rules. He knows what he’s talking about. Here’s the short version: The RNC Rules Committee proposed a rule change that would allow future presidential campaigns to have veto power over delegates elected to the convention. In other words, the party is trying to centralize the nomination process at the expense of grassroots voters. While much of the banter has focused on Ron Paul supporters, the outrage about this move comes from a much wider swath of conservative voters who respect the principles of republican government enough to not want to see any voters disenfranchised. For heavens sake, even Sarah Palin and Mark Levin took up this fight! It’s not terribly often I find myself agreeing with either of them, but I respect them both for taking a stand on this. What was the result of all this? Early this afternoon, the rules changes were brought to the floor for a vote. House Speaker John Boehner presided over the vote. Now, parliamentary procedure allows the chair to determine whether a consensus has been reached, but if it is unclear from the votes voiced from the floor that a consensus exists, there is supposed to be debate. Look at the following clip from today’s proceedings; is it clearly evident that the “ayes” outnumber the “nays”? To my ears, the vote seemed pretty well evenly split… or at least close enough to allow for some debate and to take a more precise tally. Yet notice that Boehner eliminates even the possibility of debate by unilaterally determining that “the ayes have it”, even going so far as to say “without objection, a motion to reconsider is on the table”, which precludes the making of a future motion and makes the vote final (see here for an in-depth look at how Parliamentary Procedure works in the U.S. Congress). If @SpeakerBoehner had been wielding the Speaker’s gavel instead of the GOP convention gavel, he wouldn’t have gotten away with that trick. This was a complete travesty, and the RNC should be ashamed of itself. Many delegates were ashamed, and expressed that shame by walking out of the convention. Again, note that the objections (of which there were many, regardless of what Boehner said) came from many who were not Ron Paul supporters, though most of the media coverage of the dissent has focused on Paul delegates. I’ll probably write more on this later, including how as a Ron Paul supporter I plan to move forward. For now, though, I just want to let today’s rule changes sink in. Do the actions of the RNC and the Romney Campaign match in any way the rhetoric of “limited government” and “grass-roots” we’ve been hearing about, or does this remind you more of the centralization of power we’ve seen escalating in the last few decades, and especially in the last four years? Does this give you any hope of real “change”? In yesterday’s post I displayed my results of a quiz that identifies the presidential candidate that best matches your answers to a set of questions. Not surprisingly, my number one match was Ron Paul. Also not surprisingly, coming in at #2 was Gary Johnson. The quiz stated that “I side 98% with Ron Paul”. While I’m not certain I’m quite that ideologically aligned with him, my blogging history should tell you that the quiz pegged my pick pretty accurately. 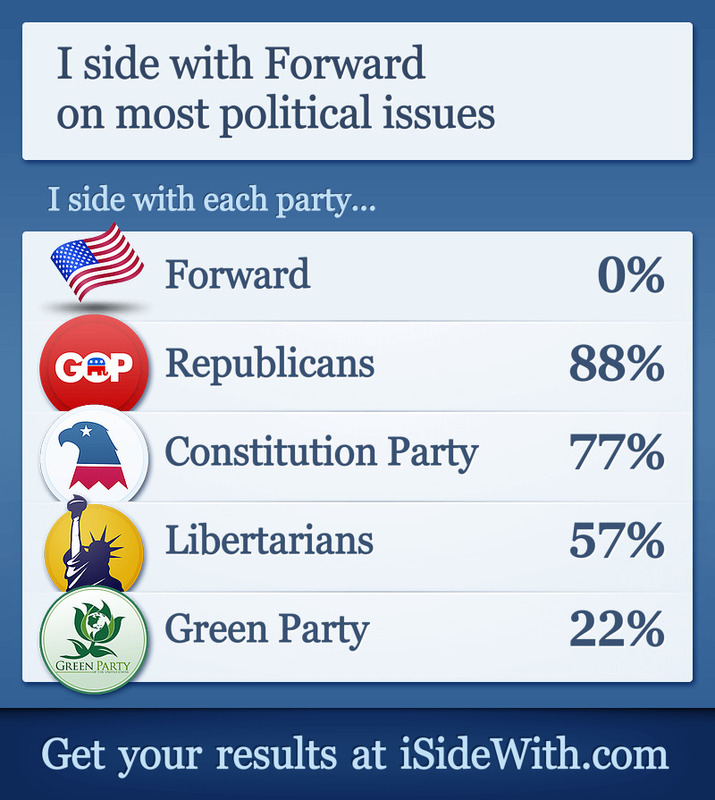 But then it said I sided 96% with Gary Johnson, the Libertarian Party’s candidate for president. Though, unlike Paul, I haven’t written much of anything about Johnson on here, I should say that I do like him. I agree with him on a great many things. On the quiz, his answers and Ron Paul’s were virtually identical on the vast majority of questions, which explains why the margin of difference between them is slim… at least where the quiz metrics are concerned. But that 2% of difference is a major difference when it comes to the importance of the issues where they are different. Gary Johnson supports a woman’s “right” to choose to abort a fetus until it becomes “viable” at 5 months of gestation. That by itself is a deal-breaker for me. Though I align with Johnson on most issues on paper, I absolutely cannot and will not vote for a candidate who does not strongly oppose abortion. It’s one of the reasons I so strongly support Ron Paul: he has been the most consistent pro-life politician in Washington for decades. Call me a “one issue voter” if you like (though I hope my history of thinking through political issues “out loud” on my blog will demonstrate that this is not the case), but I can’t think of any issue more worthy of raising to “deal-breaker” status. Quizzes are fun, but there’s a limit to their usefulness. I may side with Gary Johnson 96% of the time, but I won’t vote for him. I’m not usually a big fan of online polls/quizzes, but came across one today that is very thorough and, in my case at least, quite accurate. The website iSideWith.com has put together a quiz designed to show you how you line up ideologically with the different political candidates. It’s nice that you have the option of taking it as a fast quiz, with simple “yes” or “no” answers to a few questions on important issues, but there are options to “choose another stance” with a more detailed answer, as well as identifying how important a given topic is to you. As if that weren’t enough detail, for many categories you can click an option to see more questions. After you take the quiz, you will see even more details about your results. For instance, you can see exactly how each candidate answers each question in the quiz, and how you line up with others in your state. Whether or not your vote this Fall is already determined, you might learn a few things you didn’t know about some of the candidates. Take the quiz, and if you like, leave a comment with your results!